◎ The CCP appears to be gambling that U.S. domestic elections play out in a manner that allows it to avoid a consequential clash with America. The passing of the United States 2019 National Defense Authorization Act (NDAA) is a watershed moment in Sino-U.S. relations, and the clearest indication yet that America’s labeling of China as a “strategic competitor” instead of a “strategic partner” is not just a matter of semantics. Meanwhile, the Chinese Communist Party’s (CCP) latest propaganda suggests that it is running an old set play in response to America’s China policy revolution. The CCP’s strategy indicates that it has either severely misread the situation, or is gambling that U.S. domestic elections play out in a manner that allows it to avoid a consequential clash with America. Be it gamble or misjudgment, Beijing’s “feisty” response to an existential crisis reflects the limitations that Chinese leader Xi Jinping faces from working inside the CCP system, and foreshadows diplomatic and domestic complications for the Chinese regime and the U.S. as both adjust to the new geopolitical reality. 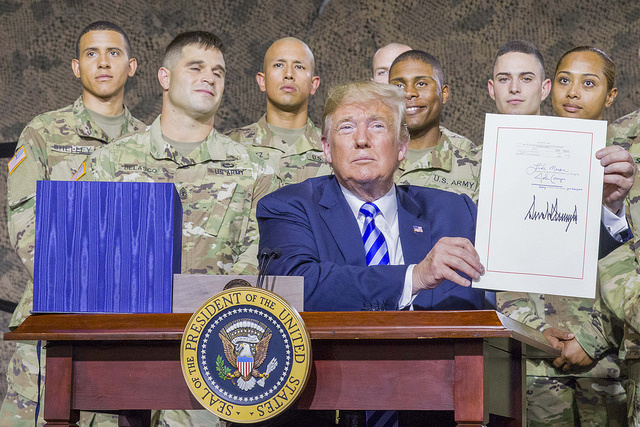 On Aug. 13, President Donald Trump signed the 2019 NDAA. The U.S. House of Representatives voted 351-66, and the U.S. Senate voted 87-10 to pass the $716 billion defense policy bill. In two provisions (Sec. 1257 & 1258), the bill lays out plans for the U.S. to work with Taiwan to improve its self-defense capabilities, and strengthen defense and security cooperation with the island. Dec. 2016: President-elect Trump answers a congratulatory call from ROC (Taiwan) president Tsai Ing-wen. April 2017: Trump informs Chinese leader Xi Jinping that he had ordered an airstrike in Syria over dinner during their first meeting in Florida. Dec. 2017: Trump’s National Security Strategy describes the PRC as a rival power and identifies it as a strategic competitor. March 2018: Trump signs a presidential memorandum aimed at the PRC’s intellectual property theft and forced technology transfers Also, Trump signs the Taiwan Travel Act which allows high-level U.S. officials to visit Taiwan and vice versa. Both the Senate and the House of Representatives voted unanimously to pass the Act. April 2018: The U.S. Commerce Department bans American companies from selling equipment and services to ZTE, a state-backed Chinese telecommunications company. The ZTE ban was later lifted in July and replaced with a harsh “probation” (we analyzed at the time why the move benefits the U.S. in the long run). June 2018: Trump announces that he would proceed with implementing tariffs on Chinese imports. The first wave of 25 percent tariffs on $34 billion of Chinese goods goes into effect on July 6. 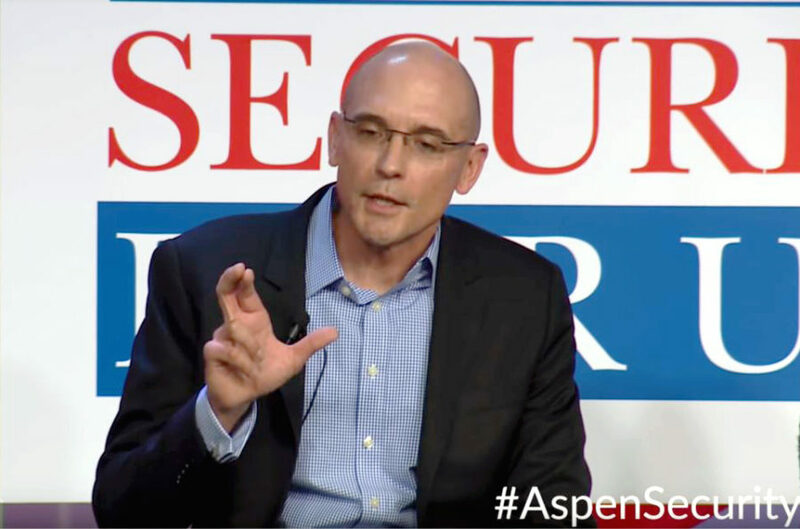 July 2018: Trump threatens to levy duties on $500 billion of Chinese goods, or nearly all of China’s imports to the U.S.
At the Aspen Security Forum, FBI Director Christopher Wray said that “China, from a counterintelligence perspective, in many ways represents the broadest, most challenging, most significant threat we face as a country.” CIA East Asia mission center deputy assistant director Michael Collins said at the forum that the PRC is fundamentally waging a “cold war by definition” with America. Aug. 2018: President Trump signed an order to reverse an Obama-era memorandum dictating how and when the U.S. government can use cyberweapons against adversaries in a move to relax restrictions on such operations, according to The Wall Street Journal. While there is no indication that the Trump administration plans to deploy cyberweapons against the PRC, the major cyberattacks against the U.S. in recent years were traced back to the Chinese regime. 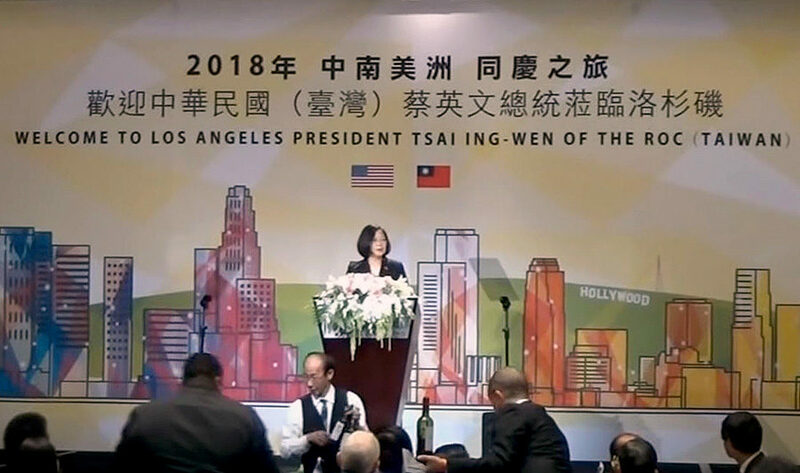 Tsai Ing-wen makes a political speech in Los Angeles while in transit on a trip to Paraguay and Belize. Taiwanese media accompanying Tsai were allowed to stay in the same hotel as her and report on her activities, a departure from a year ago where the media had to stay in different accommodations and could only report on Tsai’s activities after she left Los Angeles. Previous U.S. administrations have prevented Taiwanese leaders from making speeches on American soil due to concerns of provoking Beijing. In examining the measures and statements on China and Taiwan under the Trump administration, we believe that the U.S.’s one-word shift in describing its relationship with the PRC in the 2017 National Security Strategy is, in fact, a revolution in America’s policy on China. The passing of the 2019 NDAA by large margins in the U.S. Senate and House of Representatives, as well as the passing of the Taiwan Travel Act unopposed by U.S. lawmakers, reflects strong bipartisan and popular support for the fundamental shift in America’s attitude towards the PRC. American colleges cutting ties with state-backed Confucius Institutes are another sign of changing sentiments. America’s allies appear to be catching on to Trump’s China policy revolution. In July, the European Union rejected the PRC’s offer to work with them to condemn the U.S. on trade and instead signed a new U.S.-EU trade agreement. Germany has also begun blocking Chinese acquisitions of local companies on national security grounds. The CCP’s response to the rapidly shifting mood in the U.S. and abroad towards the PRC has been to double down on rhetoric. 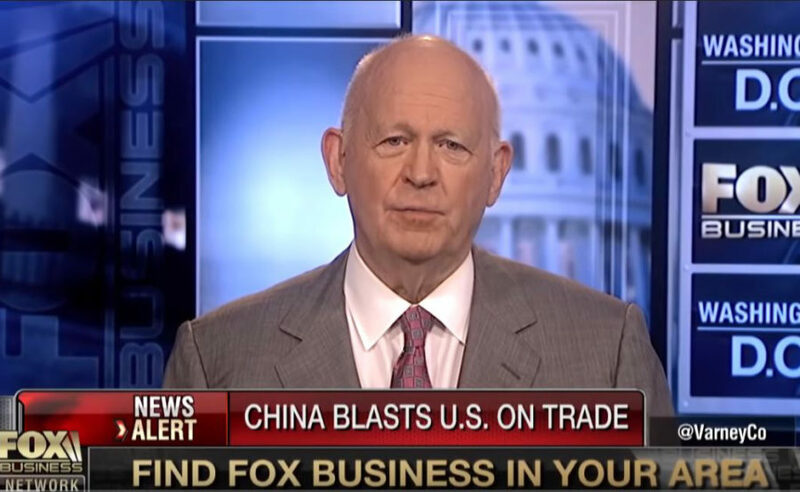 Another incident that is revealing of the mood in Beijing is an Aug. 9 Fox News interview with Michael Pillsbury, the director of the Center on Chinese Strategy at the Hudson Institute. According to Pillsbury, the top level officials he had closed-door meetings with believe that Trump’s attitude towards China is a result of a “split in the White House” and a “stunt” for the U.S. midterm elections. The officials also argued that China was defending free trade and the entire world against Trump by facing down U.S. tariffs and restrictions. Moreover, the officials would not admit that the PRC had “stolen” their way to economic success, and said that the U.S. Section 301 investigation and findings of China’s intellectual property theft and forced technology transfer were “all false” and “defamation.” Pillsbury described the PRC rhetoric as “very feisty” and “very strong,” and noted that he had never heard anything similar in his previous interactions with Chinese officials. We believe that the CCP’s response to America’s China policy revolution is either a serious misreading of the situation or a gamble on changes in domestic U.S. politics at the midterm elections creating favorable conditions for the PRC to renegotiate trade with America. Either strategy reflects the limits of what Xi Jinping can do within the CCP system, and would create fresh complications for both China and the U.S. going forward. The CCP might be rehashing the strategy of rallying the nation around its leadership to deal with an external enemy if it is feeling confident in its domestic and external propaganda capabilities, and its ability to infiltrate and control democracies. The CCP has reason to trust its propaganda apparatus. Over the last two decades, the CCP sought to cultivate the image of a benign, rising China through its “Great External Propaganda Plan” (GEPP). The GEPP’s false narratives and China’s economic boom led many democracies to lower their guard to CCP influence operations. Through United Front work, espionage, and other methods, the CCP has made inroads into some democracies. Australia discovered in recent years that the CCP had been interfering in its democratic processes. Meanwhile, American media outlets revealed in August that a former aide of Sen. (D-Calif.) Dianne Feinstein who worked for her for 20 years was a Chinese spy. Some media outlets also drew a connection between Feinstein’s long and close ties with ex-CCP boss Jiang Zemin and her call for the U.S. to grant China most-favored-nation trading status while downplaying the PRC and Jiang’s severe human rights abuses. The American media is not unaffected by CCP influence operations. Paid inserts by Chinese state media have found their way into prominent U.S. broadsheets, and several publications have carried pro-China articles by experts or commentators with links to PRC-backed institutes or proxies. The CCP might also believe that its authoritarian system and the weaknesses of democracies give it an edge over democratic countries like the U.S. in times of crises. Hypothetically, the plurality of voices in democracies means that democratic governments could take a long time to decide on solutions to crises. Meanwhile, the authoritarian CCP could take advantage of the “time lag” to mobilize state resources to fix its problems, or develop new means to get ahead of the democracies. However, the CCP is making a serious blunder if it believes that it can leverage its traditional “strengths” to escape U.S. pressure. First, CCP propaganda has lost its efficacy as Sino-U.S. trade tensions escalated (see here, here, and here). Since then, the CCP has had to cope with a toxic vaccine scandal and angry peer-to-peer (P2P) lending platform clients who lost their life’s savings as a result of P2P failures. The CCP might next have to deal with furious and wealthier private equity fund investors as asset management authorities “lose contact” with the actual controllers of prominent funds. Put another way, there is only so much that propaganda can do to defuse rising social tensions and restore faith in a government that is revealing itself to be not just scandal-prone, but outright incompetent. Indeed, the CCP’s latest nationalist appeal might end up backfiring. When the toxic vaccine scandal broke out in July, Chinese netizens rushed to the American Embassy in Beijing’s official Weibo page to complain about the incident and hurl insults at the CCP under completely unrelated posts by the Embassy. For instance, a netizen wrote under a July 24 U.S. Embassy post about the duties of jury members in the American system: “The U.S. attacked the Assad regime in Syria over children. Why is America ignoring the poisoning of tens of thousands of Chinese children? Where are the Tomahawk missiles?” The netizen is likening the CCP regime’s failure to regulate vaccines administered to children as an indirect “chemical attack” on its own citizens. Chinese netizens have recently taken to complaining about the CCP on the American Embassy’s Weibo account because CCP censors have become more guarded about deleting “problematic” posts and comments in light of Sino-U.S. trade tensions. In early August, the Chinese web portal NetEase ran a poll in its military section which asked readers how much they were willing to donate to “the motherland” in the event of war. Many Chinese netizens wrote in the poll’s comments section that the poll was “rubbish,” or volunteered instead to donate money or “intelligence” to the U.S. so that it can launch an invasion of China. The poll was subsequently taken down. Second, the CCP authoritarian system is responsible for creating the problems that are threatening its rule. Authoritarianism tends to work better on paper than in reality in solving economic and social issues, and the Chinese regime does not exist only on paper. After Mao Zedong’s brutal political campaigns disillusioned the Chinese people to Marxist ideals, the CCP welded its political legitimacy to its ability to provide economic prosperity for people and country. 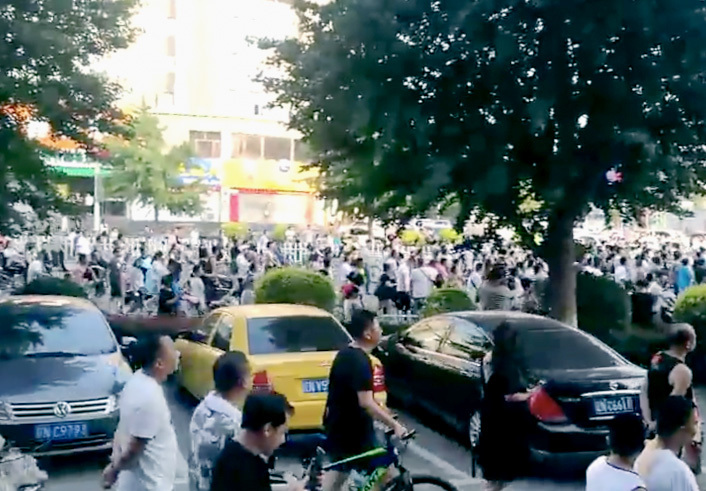 The growing social unrest in China that we mentioned above is a consequence of the country’s worsening economy. We have previously written about China’s local government debt crisis, the CCP using new means to fake data and hide the economic downturn, and state-run enterprises defaulting on bonds. As China’s economy deteriorates, the CCP’s control over society would weaken correspondingly, and whatever authoritarian “advantage” it might have would be greatly eroded. Finally, the CCP is underestimating the resolve of the Trump administration and America. President Trump has demonstrated by going ahead with tariffs despite domestic opposition that he would be tough on both friend and foe in pursuing his “America First” policy. When the PRC failed to meet U.S. trade demands, Trump proceeded to levy, and even raise, duties on Chinese products as planned. Not even PRC retaliatory tariffs targeting Trump’s voter base and key crops like soybeans has persuaded Trump to change course. Worse for the CCP, America’s political elites are united in opposing China the “strategic competitor.” While some U.S. lawmakers have set themselves resolutely against President Trump and his administration, both Republicans and Democrats in the House and Senate showed strong support for the Taiwan Travel Act and the 2019 NDAA. If history is a guide, the “weakness” of America’s democracy has not stopped the country from moving quickly to face down tough adversaries when the situation calls for it. Unrestricted German submarine warfare and an exposed attempt to get Mexico to join the war on the German side resulted in America’s entry into World War I in April 1917. 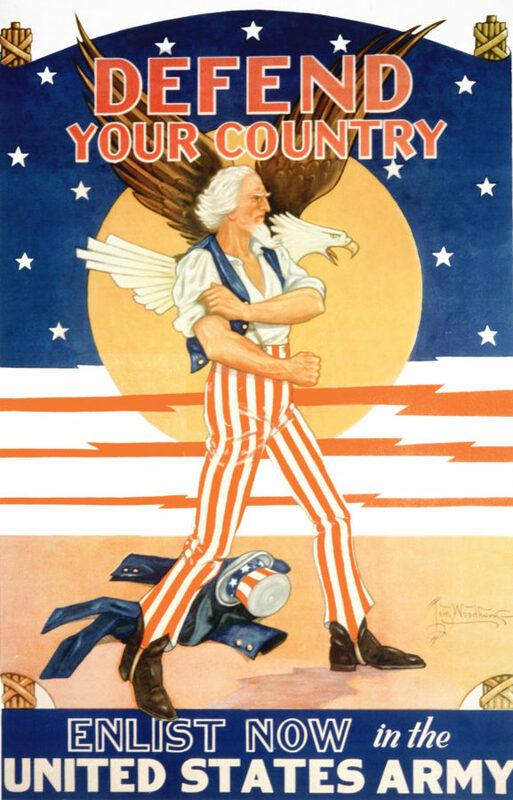 The U.S. joining the Allies tipped the outcome of WWI in the latter’s favor about a year and seven months later. Similarly, Japan’s attack on Pearl Harbor led to U.S. entry into World War II, and saw America shift from a policy of isolationism to global engagement. Today, the CCP is arguably in a similar situation to Germany during WWI and Japan during WWII. The CCP’s past pernicious behavior already has the U.S. and the world on guard. By not backing down on its aggressive rhetoric, the CCP is inviting America to go all out in dealing with the China threat. 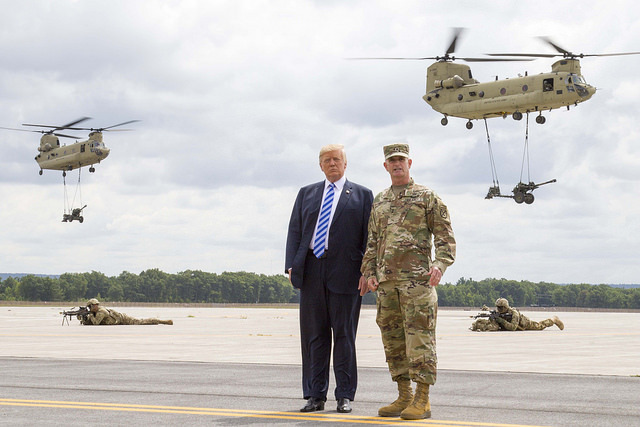 And the 2019 NDAA signals that the Trump administration is getting the U.S. ready to shift gears in countering China. Of course, the CCP might be fully aware of its domestic problems, but decided to go ahead with its current “feisty” response to America’s China policy revolution as a sort of gambit. The broad bipartisan support for the 2019 NDAA, however, suggests that U.S. wariness of the PRC should persist regardless of a “blue wave” or “red wave” come the midterm elections in November. Also, a Democrat-controlled House and Senate could make things far worse for the CCP, as seen from the Democrats support of a complete ban of ZTE (notwithstanding the political maneuvering between the Democrats, Republicans, and the Trump administration). 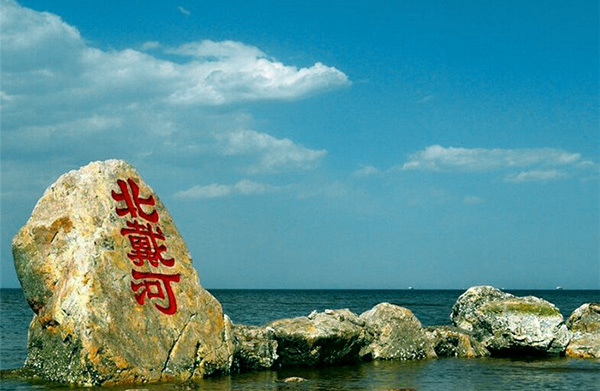 The CCP gambit, if it is one, could prove to be wishful thinking. 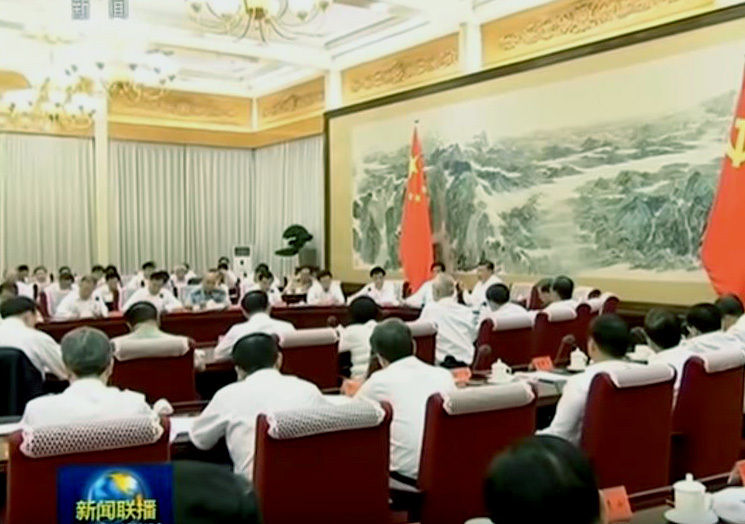 The CCP’s current strategy against the U.S. might not be Xi Jinping’s preferred option, but the only outcome to be had from working within the CCP system. There is a popular perception internationally that Xi can get the Chinese regime to do virtually whatever he wants because he is the CCP paramount leader and “president-for-life.” Lately, observers are speculating that Xi’s supposedly unparalleled strength has become somewhat brittle with the deluge of rumors about how powerful Party elders or the Party’s elite are questioning Xi’s missteps in negotiating trade with America. Both views are gross oversimplifications of reality and are unhelpful for dispassionate analysis about China and its geopolitical issues. SinoInsider has explored the reasons for why Xi sought to “rule for life,” his troubles with enacting reform, and the complexities of CCP elite politics in previous articles (see here, here, and here), and will not repeat them here for the sake of brevity. 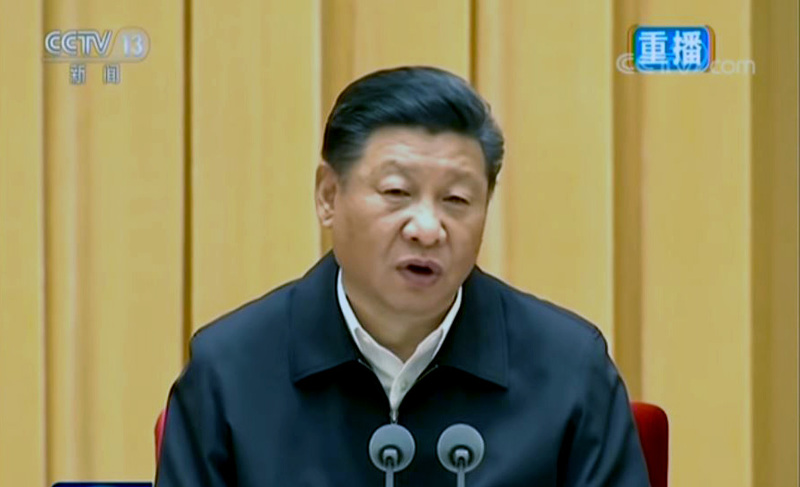 Our current assessment of Xi Jinping is that his grip on power is firm (his rivals have been greatly weakened and have trouble finding replacement candidates), but he cannot do as he pleases due to the constraints of the CCP system. Constraints include the communist ideology, factional struggles, the issue of face, systemic corruption, moral vacancy, deeply rooted bureaucratic practices and knee-jerk responses that top-down control cannot fully govern, etc. In sum, authoritarian regimes, like all forms of government, have their unique problems that prevent the ideal implementation of policies. Indeed, how powerful Xi Jinping might be can have very little bearing on effective policy implementation. Based on our research, we are inclined to believe that Xi personally has no reason to seek antagonistic relations with the U.S. We have explored Xi’s healthy relations with the administrations of Obama and Trump in a previous article. When meeting Trump in Florida in April 2017, Xi noted that there was “a thousand reasons to get China-US relations right,” and “not one reason” to ruin the relationship. Since the Florida meeting, Trump has hailed Xi as his friend and talked about their “great chemistry” on countless occasions. But neither the strength of the Trump-Xi relationship nor Xi’s personal views about America carry much weight in changing the CCP’s attitude towards adversaries, which defaults to unrelenting toughness to not lose face. Xi Jinping must retaliate against U.S. action or find his control over the regime weakened. Indeed, the CCP’s current response to the U.S. China policy shift seems to be the only option for Xi (the “strongman” leader of the “new era of socialism with Chinese characteristics”) given the constraints of the CCP system. As President Trump adds more tariffs, the CCP is bound to stir up anti-American sentiments on the mainland and abroad to deflect attention from its troubles. The CCP may also escalate its external influence operations. The U.S. and its allies have to prepare appropriate countermeasures to answer the CCP propaganda and disinformation challenge.